Click here to download a credit application form in PDF format that you can print and fax or post to us. Alternatively, we accept Visa, Mastercard, Farmacard, and offer EFTPOS facilities. Terms of sale are shown below. Click here to download a copy of these terms in PDF format that you can view and print. A. These Conditions of Sale shall apply to all goods (“The Goods”) supplied by Wheels Plus Ltd Limited (together with its agents, administrators and assigns “Wheels Plus Ltd”) to the addressee of this document (together with its agents, administrators and assigns “ the Customer”) and shall prevail over any Customer’s terms and conditions of sale. B. Notwithstanding clause 1A, Wheels Plus Ltd may by written notice to the Customer alter or replace these Conditions of Sale. All orders placed subsequently by the Customer shall be upon the altered or replaced Conditions of Sale. A. Payment shall be made without deduction or set-off on purchase (time being of the essence) unless the Customer has a trading account with Wheels Plus Ltd. If a trading account is held by the Customer, then payment shall be made without deduction or set-off no later than the 2Oth of the month following the date of purchase. B. In addition to the price stated, the Customer shall pay GST, any other taxes or duties, insurance, freight and handling charges in relation to the sale and delivery of the Goods all of which shall be added to the price and payable by the Customer. C. In the case of Goods specially imported or brought in or procured on behalf of the Customer the price noted on the order is based on the cost of the Goods to Wheels Plus Ltd at the date of the order and any subsequent increase in the cost to Wheels Plus Ltd of supplying the Goods shall be paid by the Customer in addition to the price and the increased price shall become the price for all purposes relating to the sale. D. Wheels Plus Ltd reserves the right to charge interest on the overdue amounts at the annual rate of interest that Wheels Plus Ltd would normally be charged by Wheels Plus Ltd trading bank plus 1.5% per annum on any part of the purchase price unpaid after the 2Oth day of the month following the date of purchase. E. Wheels Plus Ltd prices shown are exclusive of Goods and Services Tax and are subject to change without prior notice. The onus is on the Customer to confirm prices prior to delivery. F. If the Goods are exported the price and other monies due by the Customer shall be paid in New Zealand currency. G. The right to restrict or withhold the sale of further goods on credit is reserved where Wheels Plus Ltd has reason to doubt the Customer’s ability to pay for such purchases. H. In any case where Wheels Plus Ltd has Incurred any expenses, costs, disbursements or other sums reasonably incurred in the recovery of any outstanding amounts due to Wheels Plus Ltd, including debt collection agency fees and legal costs as between Solicitor and own client, then in every such case and for every cost or expense the Customer shall upon demand refund the same to Wheels Plus Ltd. Such amounts shall carry interest at the rate specified in clause 2 D if unpaid within one week of demand having been made. i. All Goods returned must, on its arrival at Wheels Plus Ltd’s premises, be found to be in first class condition and suitable for resale and in original packaging. If Goods are not found in such condition then the cost of putting the Goods in such condition will be deducted from credit memoranda. iii Transportation charges, if not prepaid, will be deducted from credit memoranda. iv. Proof of purchase, either invoice or packing slip number must be provided. A. Wheels Plus Ltd shall not be liable for delay in complying with its responsibilities under this contract caused in whole or in part by force majeure which for the purpose of this contract shall include (but not be limited to) acts of God, natural disasters, strike, lock out, fire, war, civil commotion, Court order, inability to obtain materials or goods including export or import bans or any other cause beyond the control of Wheels Plus Ltd.
A. 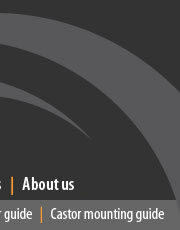 Wheels Plus Ltd reserves the right to withdraw or refuse credit for any reason at any time. A. Wheels Plus Ltd makes no representations and gives no assurance, condition or warranty of any kind to the Customer (including any assurance, condition or warranty implied by law to the extent that such assurance, condition or warranty can be excluded) in relation to the Goods and accepts no liability for any assurance, condition, warranty, representation, statement or term not expressly set out in these Terms and Conditions of Trade or other writing given by Wheels Plus Ltd to the Customer. The Customer specifically acknowledges that it is acquiring the Goods for business purposes and that the provisions of the Consumer Guarantees Act 1993 are excluded. B. Wheels Plus Ltd will replace with reasonable dispatch any Goods containing any manufacturing defect and/or faulty material which under proper and normal conditions of storage or use are revealed and notified to Wheels Plus Ltd in writing within 7 days of the date the Goods are dispatched from the offices of Wheels Plus Ltd. Wheels Plus Ltd’s obligations under this warranty are limited to replacing any Goods which in Wheels Plus Ltd’s opinion are defective. Before replacement Wheels Plus Ltd may require the defective Goods to be returned to Wheels Plus Ltd’s premises together with proof of purchase. This warranty does not extend to Goods specially imported or brought in or procured on behalf of the Customer, sale Goods, specials or obsolete lines or part cartons. C. The warranty contained in clause 6 B does not cover failure of the Goods caused by accidental damage, using the Goods contrary to the operating instructions, misuse by the Customer, neglect by the Customer or normal wear and tear. D. The warranty contained in clause 6 B does not extend to work being done on the Goods once they have left Wheels Plus Ltd premises. E. Further the warranty contained in clause 6 B does not apply if at any time parts of the Goods are replaced with a part or parts supplied by any person not authorized by Wheels Plus Ltd.
F. The benefit of the warranty contained in clause 6 B is personal to the Customer and is not assignable. G. Wheels Plus Ltd will not, in any circumstances, be liable for any deficiencies, damaged or faulty Goods or errors in dispatch. ii. Which would have been apparent by inspection on delivery. In other circumstances Wheels Plus Ltd will not be liable unless written notice of the deficiency, fault, damage or error is given to Wheels Plus Ltd within 7 days of the date the Goods are dispatched from the offices of Wheels Plus Ltd.
H. The Customer’s remedies in respect of any claim against Wheels Plus Ltd are limited to the remedies set out in clause 6 B. Wheels Plus Ltd shall not be liable (whether before or after completion of any contract for the supply of any Goods) for any loss or damage arising from, caused by or due to any negligence of Wheels Plus Ltd’s representatives, servants or agents. Wheels Plus Ltd shall not be liable for any special, incidental, indirect or consequential loss or damage which may result from or relate to a breach by Wheels Plus Ltd of any of its obligations or a breach of any of the Customer’s rights. I. None of Wheels Plus Ltd’s employees, agents or independent contractors shall in any circumstances be under any liability of any kind to the Customer for any loss or damage whether arising or resulting directly, indirectly or consequentially from any act, neglect or default on their part. Every exemption, limitation, condition and right expressed or implied in these Terms and Conditions of Trade on the part of Wheels Plus Ltd or in favour of Wheels Plus Ltd shall extend to protect all of it’s employees, agents and independent contractors. B. The Goods shall remain the absolute property of Wheels Plus Ltd as legal and equitable owner until the Customer has received payment for the Goods and for any interest, costs, expenses or other sums to which Wheels Plus Ltd is entitled pursuant to these Terms and Conditions of Trade (all of which are together called “the amount owed”), notwithstanding the appropriation of the Goods to this contract or the delivery of the Goods. i. Keep the Goods in a good condition and in a secure manner. ii. Insure the Goods with a reputable insurance company for their full replacement value. iii. Keep the Goods separate and readily identifiable and not remove or obscure any brand name, marking or other means of identification appearing on the Goods or any packaging. D. Until Wheels Plus Ltd has received payment of the amount owed, the Goods are supplied to and shall be dealt with by the Customer only as a fiduciary agent and/or bailee of Wheels Plus Ltd and it shall be the duty of the Customer to account to Wheels Plus Ltd for the proceeds of any sale or disposition of the Goods to a maximum of the amount owed. The Customer shall ensure that any proceeds are paid into a separate bank account that does not have a debit balance at the time the proceeds are deposited to it so that the proceeds are identifiable and traceable. If the Customer sells or trades the Goods the Goods will be sold at market value as fixed by this agreement on account of Wheels Plus Ltd.
E. While the Customer shall deal as principal and Wheels Plus Ltd shall not be liable to any person with whom the Customer deals nevertheless the Customer shall hold the entire proceeds of sale or other dealing in respect of the Goods in trust for Wheels Plus Ltd.
F. Until such time as Wheels Plus Ltd has received payment in full of the amount owed Wheels Plus Ltd may give notice in writing to the Customer to return Goods or any of them to it. Upon such notice the rights of the Customer to obtain ownership or any other interest in the Goods shall cease. G. The Customer hereby irrevocably authorises Wheels Plus Ltd immediately upon either default in payment of the amount owed or in breach of any other terms of this contract, without the necessity of giving notice, to enter on and into any property or premises owned or occupied by the Customer to search for and remove all or any of the Goods, and to sell or otherwise dispose of the Goods removed and credit the sale proceeds towards the amount owed. If all or any of the goods are wholly or partially attached to, Intermingled with or incorporated in any other Goods, Wheels Plus Ltd may in its sole discretion disconnect, retrieve or sever the Goods, in order to remove them. 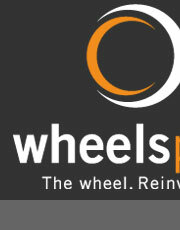 Wheels Plus Ltd shall not be liable for any loss or damage caused to or liability incurred by the Customer in exercising its rights under this clause and the Customer hereby indemnifies and shall keep indemnified Wheels Plus Ltd for any claims for loss or damages that may be made against Wheels Plus Ltd as a result of the exercise by Wheels Plus Ltd of its rights pursuant to this clause. H. The Customer shall not charge the Goods in any way nor give any interest in the Goods while they remain the property of Wheels Plus Ltd. I. The foregoing provisions shall not entitle the Customer to return the Goods without demand from Wheels Plus Ltd.
ii. All or any of the Goods have been lost, damaged or destroyed in circumstances that entitle the Customer to claim reimbursement pursuant to any insurance policy, then the Customer hereby authorises Wheels Plus Ltd to act in all respects as the Customer in making or pursuing the claim, and hereby assigns to Wheels Plus Ltd all legal and equitable title to the proceeds of the claim, which proceeds are to be credited towards the amount owed. A. All Goods returned for repair or replacement whether returned pursuant to clause 6 B or not shall be accompanied by a written report detailing the faults in the Goods. If there is no written report Wheels Plus Ltd shall test the Goods and a testing fee shall be paid by the Customer. The invoice number relating to the product must be quoted. The Customer must obtain an authorisation number from Wheels Plus Ltd to return the Goods before doing so. The Customer shall pay the costs of any repairs, even for Goods returned for repair or replacement pursuant to clause 6 B, if they have been returned and in the opinion of Wheels Plus Ltd have while not in possession of Wheels Plus Ltd been misused or suffered physical damage. A. All Goods purchased will be subject to freight charges. Goods will normally be despatched by overnight courier or parcel freight unless prior arrangements have been made. Please specify on your order. B. Wheels Plus Ltd shall use its best endeavours to meet the Customer’s required delivery date but will not be responsible for any loss or damage (in either case, of any kind and whether direct, indirect or consequential) arising from any delay in the delivery of the Goods for any reason beyond Wheels Plus Ltd’s reasonable control. C. Any claim by a Customer that Goods were short supplied, missing or damaged must be made within seven (7) days from the date the Goods are despatched from the offices of Wheels Plus Ltd otherwise the Customer acknowledges that Wheels Plus Ltd is not required to accept any claim. A. The Customer acknowledges that these Terms and Conditions of Trade create a security interest in all present and after acquired Goods and any proceeds of the sale of the Goods as security for all of the Customer’s obligations to Wheels Plus Ltd Pursuant to the Personal Property Securities Act 1999 (“the PPSA”) and that Wheels Plus Ltd may register a financing statement to perfect its security interest in the goods delivered or to be delivered to the Customer in accordance with the provisions of the PPSA. B. The Customer shall provide all information, execute or arrange for execution of all documents and do all other things that Wheels Plus Ltd may require to ensure that Wheels Plus Ltd has a perfected first ranking security interest in the goods under the PPSA. C. The Customer waives its rights to receive a verification statement in respect of any financing statement or financing change statement registered by or on behalf of Wheels Plus Ltd under the PPSA and agrees that as between Wheels Plus Ltd and the Customer the Customer will have no rights under (or by reference to) sections 114(1)(a), 116, 117(1)(c), 119, 120(2), 121, 125, 129, 131, 132, 133 and 134 of the PPSA and where Wheels Plus Ltd has rights in addition to those in part 9 of the PPSA, those rights shall continue to apply. D. The Customer shall immediately upon request by Wheels Plus Ltd, procure from any person considered by Wheels Plus Ltd to be relevant to its security position such agreements and waivers as Wheels Plus Ltd may at any time require. E. The Customer shall immediately notify Wheels Plus Ltd of any change in the Customer’s name, address details and any other information provided to Wheels Plus Ltd to enable Wheels Plus Ltd to register a financing change statement if required. Click here to download a copy of these terms in PDF format that you can view and print.